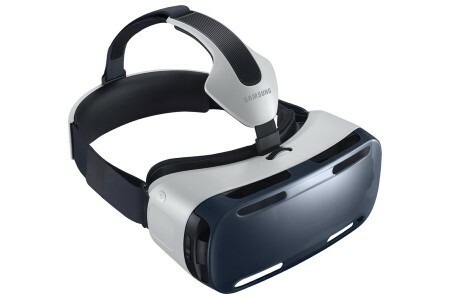 Another surprise from the recently concluded MWC (Mobile World Conference) that Samsung has chose to unleashed upon the world is their commitment to VR (Virtual Reality) with the launch of the Samsung Galaxy Gear VR Innovator Edition. This latest update to the original Samsung Galaxy Gear VR, which originally only worked with a Samsung Galaxy Note 4 phablet as detailed in my article Samsung Galaxy Note 4 is a flatteringly fabulous Phablet with an improved S Pen. However, this new Developer Edition works with the Samsung Galaxy S6 and Samsung Galaxy S6 Edge also neatly described in my article Samsung Galaxy S6 and Edge at MWC 2015 coming to Mash up Jamaica. The Samsung Gear VR Innovator Edition, like its predecessor, is powered by technology borrowed from Oculus Rift, the company Facebook purchased for US$2 billion dollars back in March 2014. However, the Samsung Gear VR Innovator Edition has been reduced by 15% in size, making it lighter and more comfortable on your face. The straps have been redesigned to give better weight balance and a primer fit so that motion jarring is reduced. Best of all, its got ventilation; your face does get a little sweaty due to extended wearing of what’s effectively a pair of Movie Screens so close to your face. It’s optimized to use the 5.1-inch Super AMOLED display of the Samsung Galaxy S6 and Samsung Galaxy S6 Edge, allowing you to watch high resolution movies, TV shows, VOD services and photos without getting a migraine from the pixilation and lag that occurs when such content is squashed down to that screen size. To get the VR experience on the Samsung Galaxy S6 and Samsung Galaxy S6 Edge requires that you download an App from the Samsung Galaxy App Store. You can make the VR experience last longer by plugging in the USB Charger, albeit I’m not so comfortable with a smartphone with such a hunger battery and another device also with its own battery so close to my eyes and face; think exploding battery. There is also a lack of content, despite optimized, localized virtual reality content from top-tier creators on the Oculus Rift Store. This is mainly limited to a few VR game titles and 360 degree videos, such as a performance from Cirque du Soleil, Kurios, which is worth checking out, but not worth having eyesore and neck sore after extended usage. But VR is the future, as evident from the face that at the MWC, HTC in conjunction with Valve, also launched their own VR headset, the HTC Vive Developer Edition VR Headset. They join Microsoft Hololens and Sony Morpheus VR Headgear in the still-nascent Virtual Reality/Augmented Reality Industry. Sooooooooo………… Virtual Reality and Augmented Reality Game Developement and Operating systems, possibly made by modifying Google Android, may also be in the works from Google, if rumours are to be believed. If the trend spotted at MWC 2015 is true, then the Gaming World is set for expansion mode. Virtual Tours of unknown places and Games that immerse you in realistic environments or even overlay them on you reality, like the Microsoft Hololens, is coming by 2016. Virtual Reality and Augmented Reality may be the Messiah the Gaming World has been awaiting.